Canada’s new food guide, what’s changed? 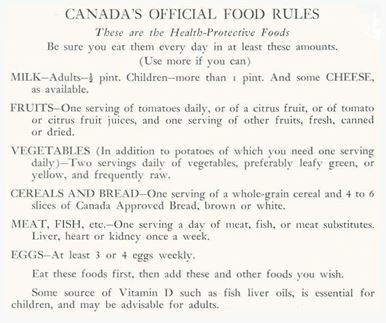 Starting as early as 1942, Canada’s Food Guides have been part of our society working towards improving Canadians Health and Wellness. As the years went on our food guide has taken different directions to reflect the changes. 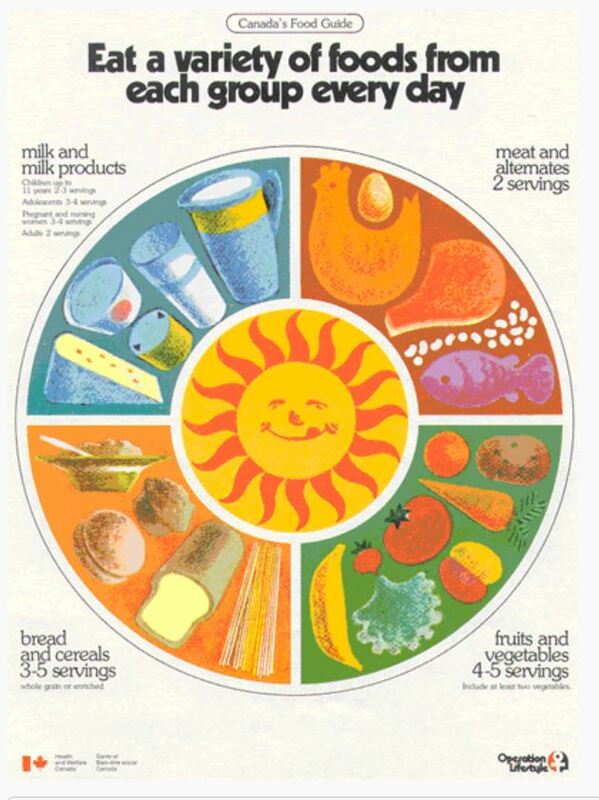 This year, possibly being one of the biggest changes to that food guide format. No longer, is Health Canada recommending serving sizes and quantities. 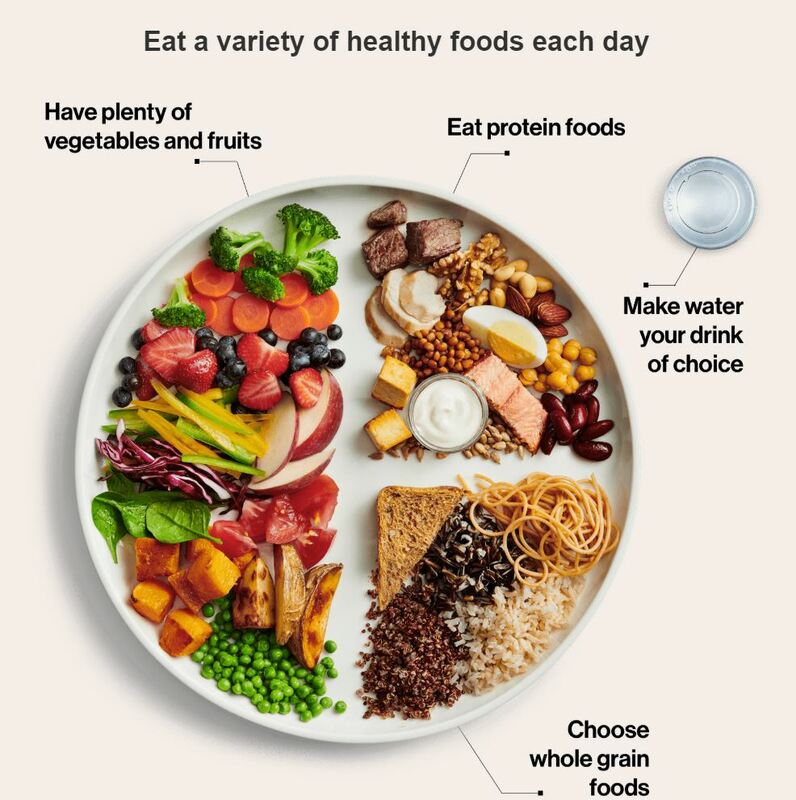 Canadians are now encouraged to look at their plate and seek balance in their foods. Gone are the days of dairy, meat, and bread being specific dietary requirements. The emphasis has moved towards plant-based alternatives being embraced as part of the protein and whole grain portion of our plates – which should now be 50% whole fruit and vegetables. 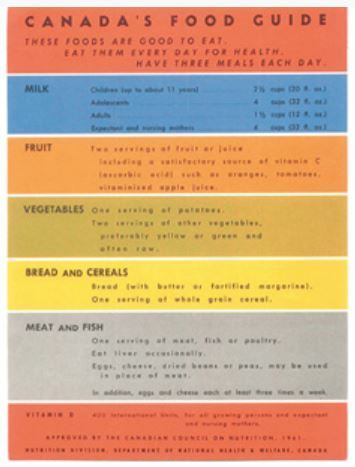 Other big changes to the guide include the new emphasis on meal-time and not just the foods. 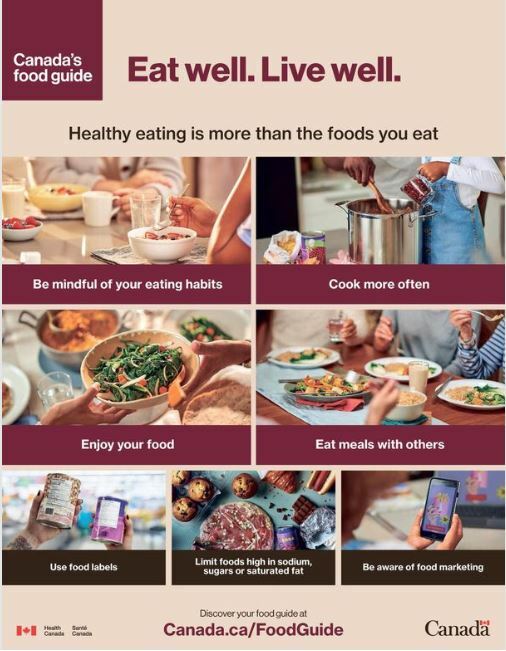 Health Canada has acknowledged that “Healthy eating is more than the foods you eat”. They are actively encouraging people to be mindful of eating habits, cook more often, enjoy your food, and eat with your family or friends. We spoke with Whitney Hussain, a local dietician from Loblaws to ask a few questions. Why did Health Canada choose to focus on protein rather than dairy and meat? Health Canada recognizes that people want to move towards more plant-based alternatives. They also saw the health benefits in reducing the risk of heart disease, diabetes, and other critical illnesses. Finally, Healthy Canada is putting emphasis on foods that help reduce our carbon footprint. 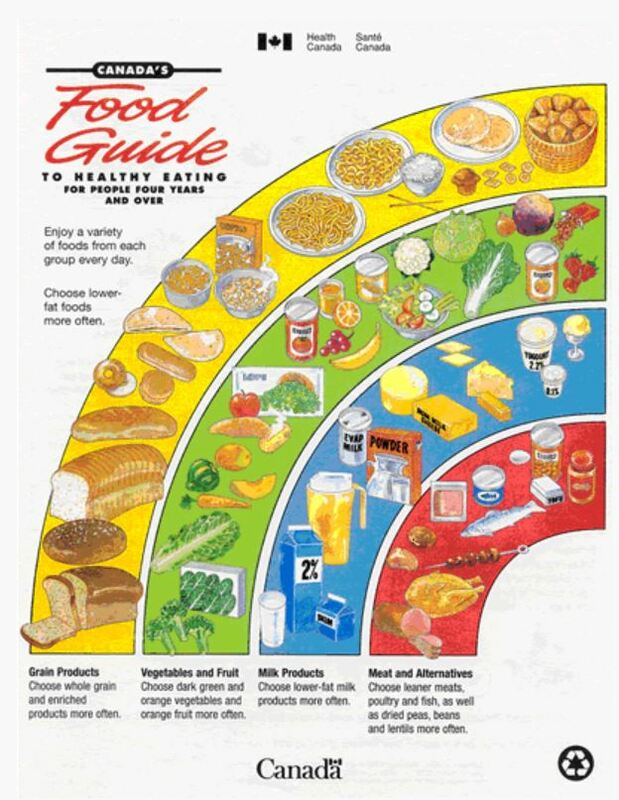 There is an effort to limit processed foods and move towards “whole foods” as well as embrace cultural needs that were missing in the old food guide. What are key things on this guide that parents should take note of? Health Canada worked towards showing a healthy plate, a much more visual depiction to teach children the recommended proportions of each food group. They have also placed a big emphasis on eating meals together which allows parents to model good eating habits. Are there any programs set-out with schools? Loblaws offers field trips for schools. Children from pre-school to high school will tour around the store as the guide highlights various nutrients in each area. They will really emphasize half of the plate being fruits and vegetables, and of course, a healthy snack will be offered at the end. With a big emphasis on whole foods, Canadians are getting even healthier. Read more about which foods are Brain Foods. If you are already very aware of foods because you have a special dietary restriction, read more tips on How to Feed a picky Gluten-Free eater.